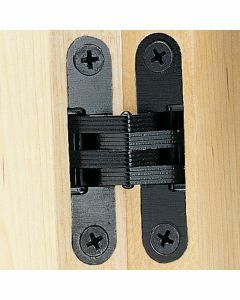 Concealed Hinges are hinges that are hidden from view when the cabinet door is closed. 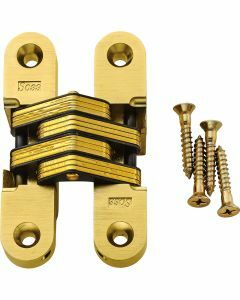 European hinges are a special category of concealed hinge, originally designed for use in a systematic method of cabinetmaking. 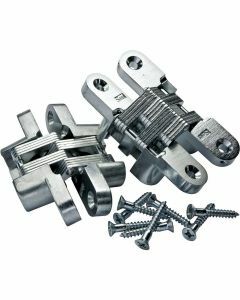 European hinges have since been adapted for use in a wide variety of applications beyond the strictly "European style" of cabinetmaking. WHY SHOULD I CHOOSE A CONCEALED HINGE? 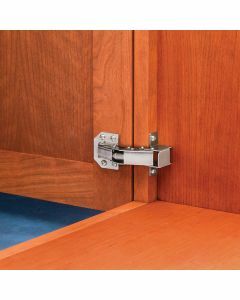 Concealed hinges offer easier door adjustment to compensate for slight imperfections in cabinet construction. Also, many European concealed hinges allow doors to be mounted and demounted using a tool-free clip-on mechanism. This tool-free installation and removal of doors makes the installation process much easier, and is a real benefit when it comes to removing or adding shelves, cleaning the cabinets and other maintenance tasks.